Looking to ramp up your style? It doesn’t matter if you’re getting your hair colored or if you’re just getting a trim, Oklahoma’s top hair salons will make you feel beautiful. So whether you’re in the market for a total transformation or just a little pampering, check out the 10 best hair salons in the state! Located in Red Cup Square on Classen, this salon believes in color and does it well. Whether you’re looking for fantasy, unicorn, mermaid or natural-looking colors that cover up your gray, this salon will take care of you. Trichology is a modern salon that has 10 years in the business. It has a great reputation for hair care. The owners and stylists are committed to being the best in the industry and creating a great experience. 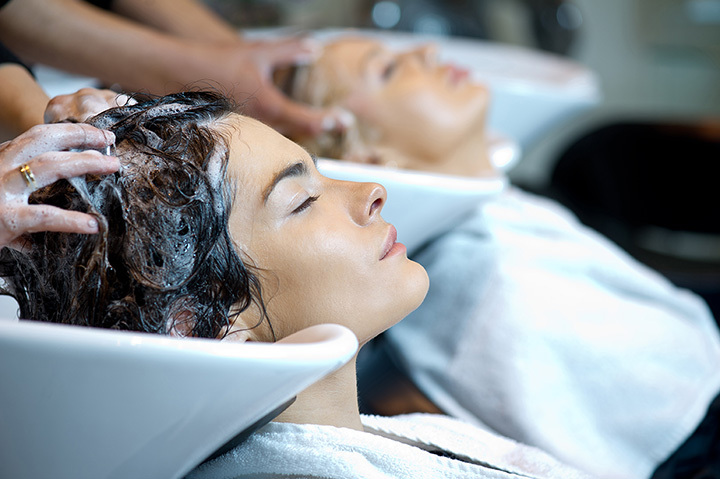 You’ll want to take a spa day when you come to Bella Vita for a hair treatment and get the works. This salon has an excellent reputation for providing a relaxing atmosphere with modern amenities. This hair salon has been recognized as one of Tulsa’s best since 2012. It has an experienced color team and uses Wella Professionals hair color. The stylists stay up-to-date on the latest trends but will also be able to style your hair to fit your personality. Z Studio has two convenient Tulsa locations. Michael Brothers has a reputation of always being booked up, but he is accepting new clients. He has a great team of accomplished staff who are reportedly some of the finest talent in the Tulsa area. The salon has a great atmosphere where you can find modern stylists who will take care of your hair while you’re there and help you take care of your hair when you’re at home. Flux Salon has a 5.0 out of 5.0 review on Facebook, with over 31 reviews. It’s one of the leading salons in Oklahoma City where you can get your hair styled, no matter what you need done. You’ll leave feeling beautiful and know you’re doing good for the environment at this Green Circle Salon that uses biodegradable soaps and detergents, recyclable packaging and items that aren’t disposable. Not only do they work hard to reduce their carbon footprint, they are also a modern salon where you’ll be refreshed and re-energized. This salon is one of the top bridal stylists in the Oklahoma City area. It’s located in Cassady Square, right north of Nichols Hills. Their goal is to always make you feel better than when you came in. It’s about your individual beauty. Located in the Plaza District, this hair salon might one of OKC’s hidden treasures. It greats reviews from its customers and offers specialized services. Pamper yourself at this local, family-owned, independent salon that is committed to your experience when you’re making yourself beautiful. It has an excellent reputation, no matter what you need done to your hair.